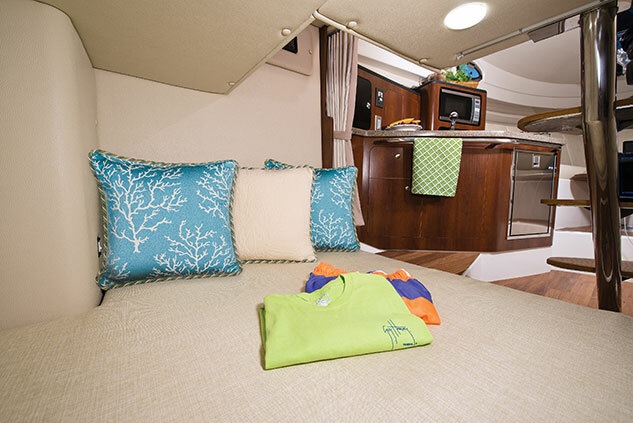 The spacious aft cabin sleeps two with access via a large entryway. An opening screened portlight adds welcome ventilation. The first class galley features maple cabinetry, a solid surface counter top, extensive storage and a heavy-duty grab rail. Appliances include a stainless steel faced microwave, stainless steel AC/DC refrigerator and a single burner glass top stove. No convenience is overlooked. 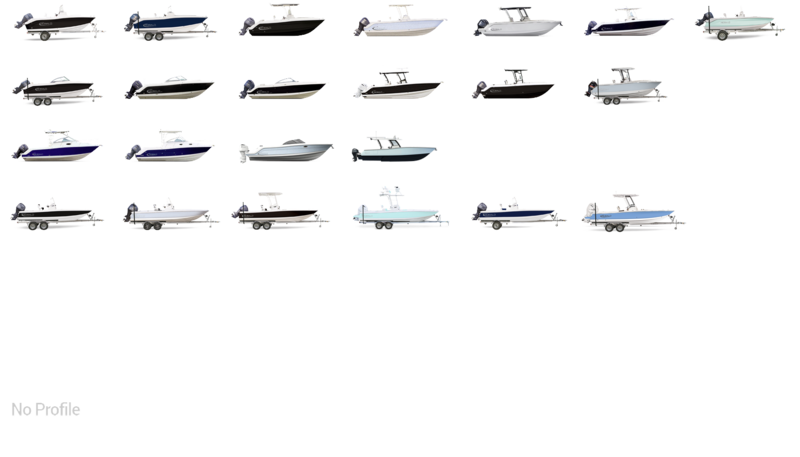 Robalo's attention to detail shines through in little extras like directional lighting, teak companionway steps and a hanging locker. A locking ceiling hatch is enhanced with a screen and sun-protective blind. 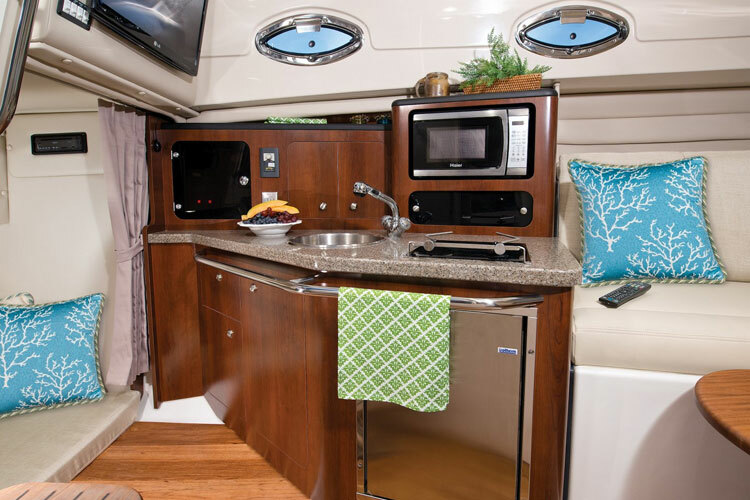 The R305 has all the creature comforts of home packed into a luxury 30' Walkaround. 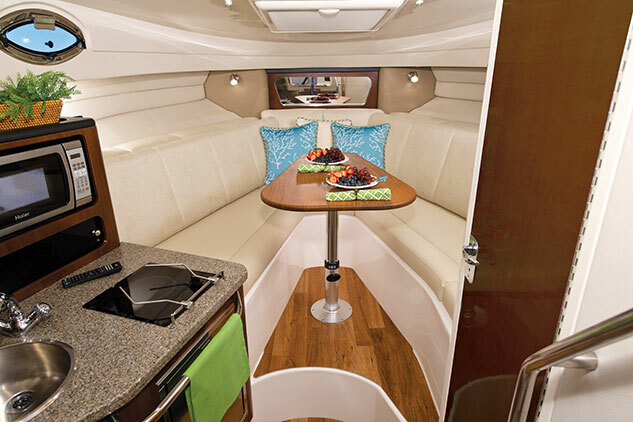 The open cabin features stand-up headroom and a spacious feel. A must for overnight trips, the separate head compartment includes a shower and Vacuflush porcelain toilet. The galley features a microwave, refrigerator, stove top burner and garbage can. 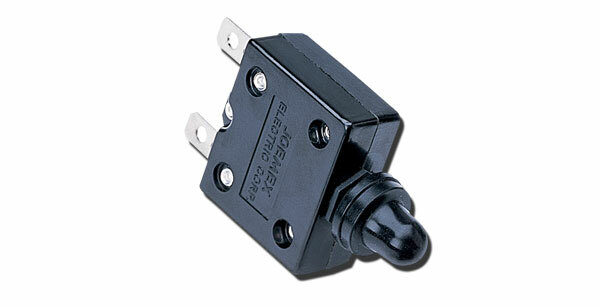 For even more comfort, you can add a generator and air conditioning. 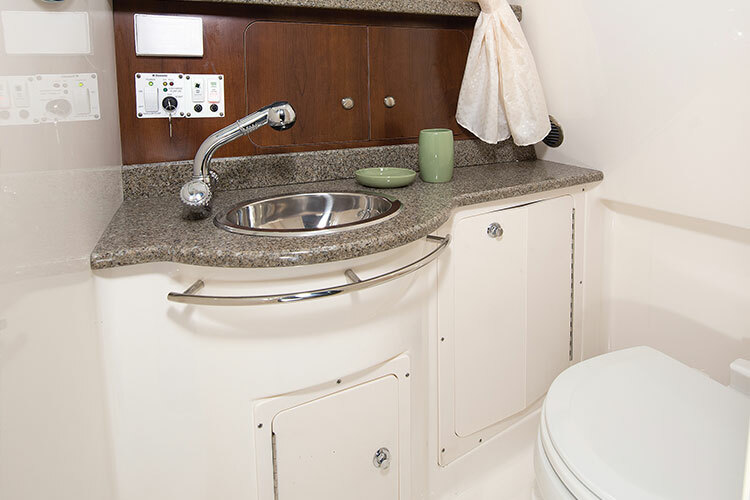 The enclosed head features a screened opening port, under shelf storage, a Vacuflush porcelain marine toilet with a 12-gallon holding tank, dockside pump out and optional overboard discharge. The forward dinette converts to clever twin pullman berths. Fiberglass innerliner construction is durable and easy to keep clean. 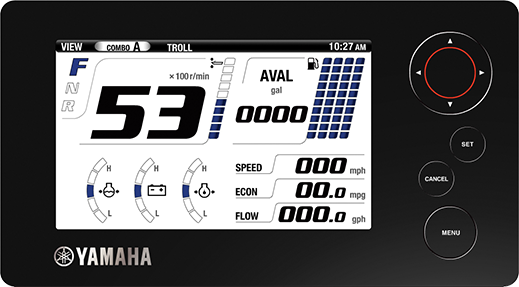 Key options include a 12k BTU air conditioning system with cockpit vent and an LCD TV/DVD system with a dockside connection and antenna. 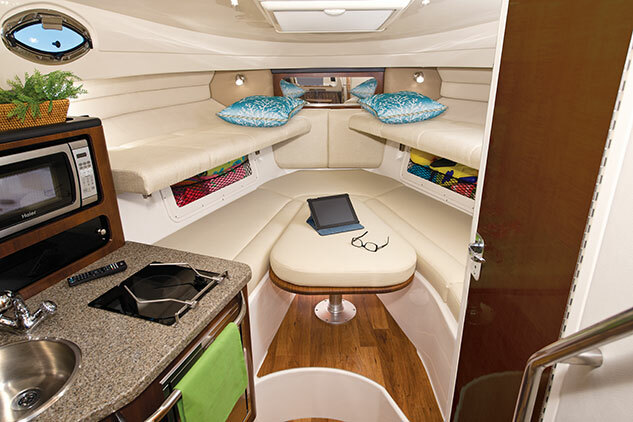 Robalo engineers designed the R305 to sleep six people comfortably. The aft berth with its wide entry sleeps two people in total comfort. 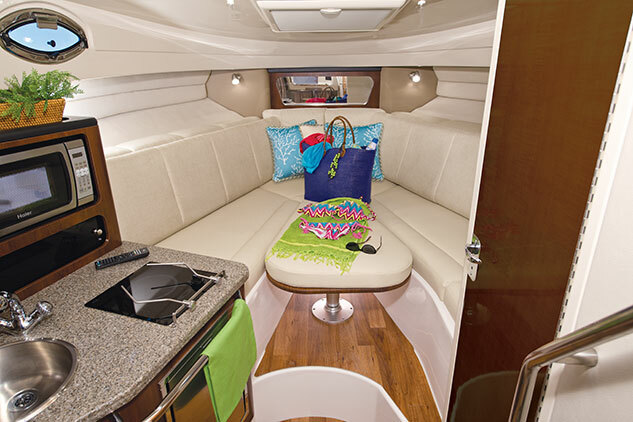 The forward V-berth converts from a dinette to a bed for two more people and is over seven feet long. Finally, Robalo designed full size Pullman style bunk beds on each side of the forward berth that fold out to sleep two more people. How's that for innovation! 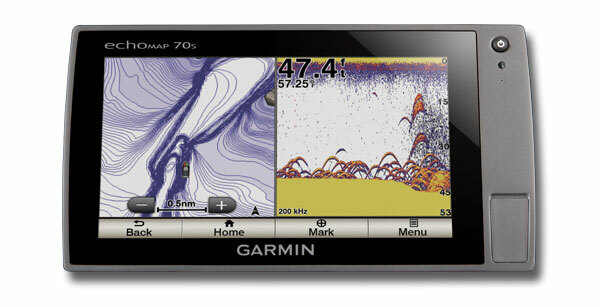 The R305 has twin 100-gallon insulated fish boxes, which is double the capacity on most rivals. The lockers, including the lids, are fully insulated for longer ice preservation. The transom bench folds creating a wide open area for fishing or watersports. A standard 20-gallon livewell with LED Lighting.